Kirkus Reviews “Best Books of 2014” selection - Born in a zoo because two-leggers destroyed his parents' forest home, Ranger Baldy of the Animal Ranger Corps appreciates how precious Nature is. Since being freed into the wild, Ranger Baldy has been on constant patrol searching for trouble and protecting Earth's treasures from those who might cause them harm. 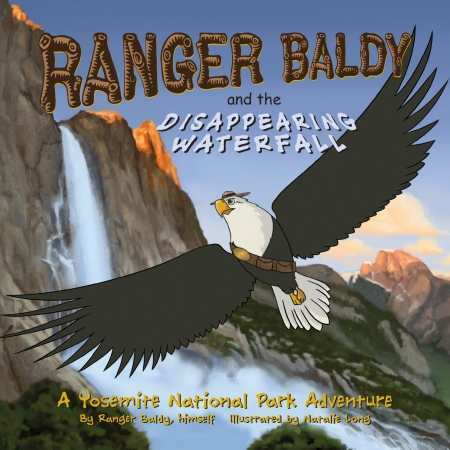 When Yosemite National Park's grandest waterfall mysteriously disappears, Ranger Baldy soars into action.